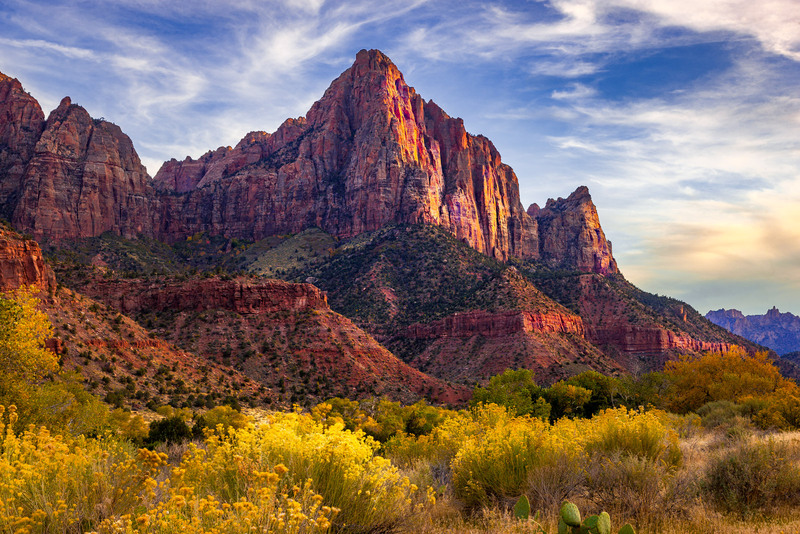 The Watchman is an impressive mountain that is usually photographed while looking down the Virgin River. We wanted something a little different, so we went searching for a composition with the yellow flowers in the foreground. It took a little tromping around, but we like the results.